The latest North American Standard Out-of-Service (OOS) criteria went into effect on April 1. This year’s list includes a dozen additions and alterations to the criteria used to decide if a driver or a vehicle is too unsafe to operate and should be removed from the road. Expired decals from the Commercial Vehicle Safety Alliance (CVSA). The Out-of-Service Criteria is updated annually and effective April 1 of each year. 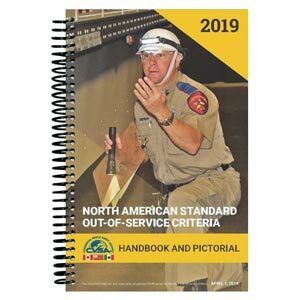 The criteria is then incorporated into North American Standard Inspection training materials as well as inspection bulletins, inspection procedures, operational policies, and training videos. J. J. Keller's North American Standard Out-of-Service Criteria Handbook and Pictorial Edition details criteria that can prohibit a motor carrier or operator from driving or operating a commercial motor vehicle for a specified period of time or until the condition is corrected.